We would like to discuss how the farm products category should be organized in OpenPak128. So, what do you guys think? Which is the best option for you? If you have any other suggestion, please explain it and it may be considered! -I would assume wool and cotton would be transported in a regular box car, so these should be piece goods. -I have never been sure what corn was in pak128. If it is dried corn, then it should be transported like grain, in a separate clean car (yuck, i don't want my grain shipped in a coal car ). If it is fresh corn, it should be a refrigerated good. I think that biggest problem is in grain type goods. The closest solution to my idea has number 4 - but it is not so clear (simple). Sorry for confusion, there was a typo - wood is not related to this at all, just wool. Of course ... it seemed be quite strange. So I expanded this discussion of another goods - I hope that usefully. 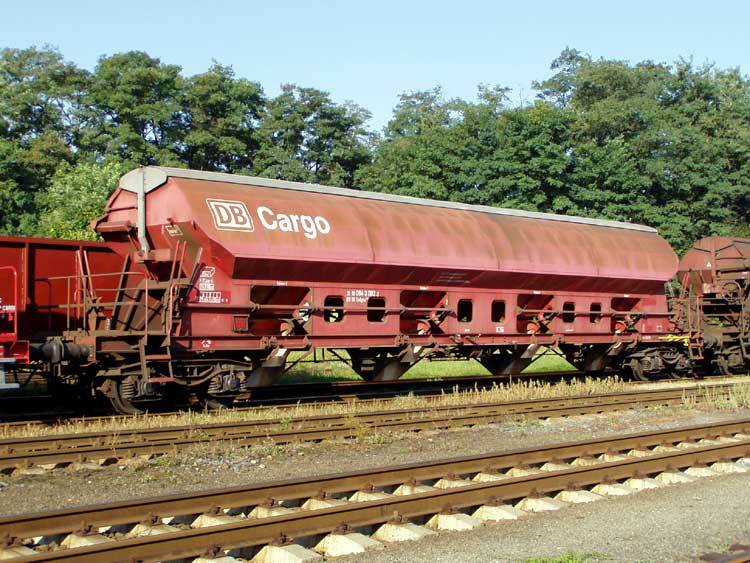 You don't need to care about vehicles Vaclav; actually Tgpps and Uagp wagons have been already painted, and if new vehicles are needed they will be painted, no problem. So the most important thing is discussing wether some goods can be grouped with others in same categories or not. I guess it's dried corn, it's for the ethanol chain. They would put boards to block part of the door and fill the car. To empty it, they would take the boards out and let it pour. Someone would then go in with a broom/shovel and push out what was left. This being said, cars used for grain/corn transport would only be used for grain/corn. Which is why I think Simutrans should keep it separate. I would think grain and corn could use the same cars. it have to has his own bulk category. Wool and Cotton can be goods because it can be transported in crates. It seems you agree with me, Erik. Thanks. I Think that cotton and wool can be carry in an boxcar and in Container on A faltcar. Grain and Corn Can be carry in a boxcar until 1975! And From 1965 in a Waterproof bulkcar with closed roof! That it a Separate goodgroup! Woodplanks be carry until 1975 on a flatcar. 1965 hate beginning the first shawmill carry the woodplanks in closed boxcar! With the carry from woodplanks in closed boxcares be saves the furniturefactorys money to dry woodplanks. I have a magazin how be reportet how be carry Wood and Planks over 170 Years by rails! I think Grain should be classified as bulk goods. In shipping industry, grain is transported by bulkers with food certificate. That kind of bulker can transport coal and ores too. I am not sure how the corn look like in Pak 128. If it is corn grains, than it should be classified as bulk goods. Else, it should be transported in container. It really depends on what kind of use for corn you are talking about. Corn used for food production, syrup, animal fodder and such usually is harvested on site and processed into grains just like most cereals, and shipped as a bulk good. Corn as primary human food is harvested by hand and shipped as farm stuff either on crates or on the back of flatbed trucks, usually to local destinations. I beleive that wool/cotton should be sent to the peice goods category and grain/corn kept on the farm product division. While bulkers for grain are very similar than for more coarse products, they usually have some extra protection to the material. Specially considering the individual weight of a peice of grain is so small it can be blown off by the winds. The results are decisive - wool and cotton are now piece goods, grain has a new timeline of wagons etc. In PAK 128, corn is only used for alcohol production only. Since the production of biofuel can use some part of plant which cannot be eaten by human, it is hard to say which part of the corn they are using. But I agree that this issue has been solved. I think flour should be included with bulk/farm bulk. That is how we receive it where we work. In 200,000lb shipments. mwoodburn81, I don't think so. And there are following reasons why it should not be as bulk farm good. Flour is also carried in bulk, when large quantities are required. It is transported in a covered hopper (which can also carry grain and corn). Either way, this is off-topic, as flour was not discussed in the OP. I am happy either way, flour can either be bagged or in bulk (I've read of 900kg bags of flour). Yes. It is a covered hopper. The rail cars we get look like the bottom picture in the link you provided. We have a little "out house" next to some rail siding where the rail car parks. We use compressed air to move the floor out of the rail car into pipes leading across the street into two large silos across the street.